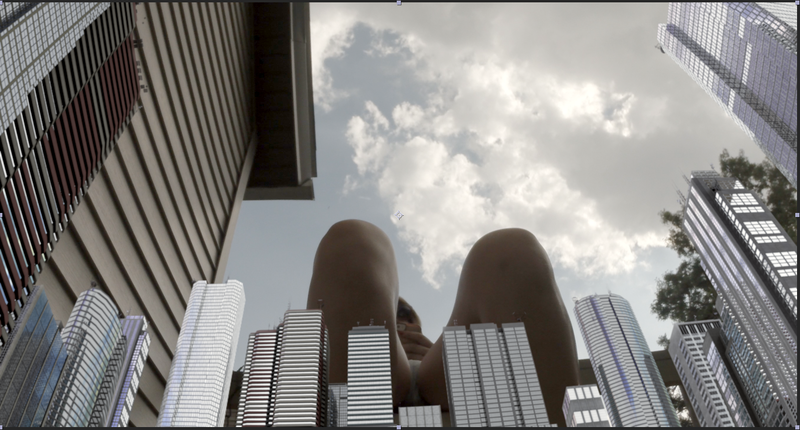 Giantess Tales: Hot, Sweaty Tiny City Crush...almost done! It's been a while, but over the summer I shot with Princess Stephanie. It was the hottest day of the summer, and those poor micro-cites were right by her hot, sweaty feet...till she crushed them. Here are some stills to tide you over. She doesn't even know they're there. She towers over them sitting down! Very Micro Cities, lots of crush, giantess feet.